We finished Pokemon and good news folks it’s still very cute, extremely cute. You get to pet cute animals, an experience that should really be a mandatory part of any decent videogame. Also! We got a chance to check out Pandemic: Legacy this past week! It’s spectacular. We can’t believe how well it was paced for our first playthrough with the Legacy rules in place. Vanilla Pandemic is already a really fun game, but dang did it take it the experience to new heights to watch the board shift permanently under stress and to be forced to make new types of decisions in the pursuit of a cure. In case we haven’t already told you a dozen times, the Legacy series of games are the brainchild of the Valley’s own Rob Daviau! He’s good at designing games that are fun and unique. One of the nicest parts of the Legacy series is the way it encourages you to set up a regular time to have fun with good pals. That can be really hard to do when you’re a busy person, and we appreciate any chance to do so! We’re really excited for the second season of the game. You can pick up season one at local shops like Modern Myths, Off the Wall, Greenfield Games, or Worlds Apart Games! A closer look at the huge bronze sculptures at the Mead! They’re neat as heck, and Carol Clark the Professor Emerita of Art and the History of Art will teach you about them! Lunch is also provided so it’s kind of like they’re paying YOU to learn about art, excellent. Professor of Art Justin Kimball and Mead Art Museum Director and Chief Curator David E. Little will have a conversation about Kimball’s latest book, Elegy, followed by a reception and book signing! Free and open to the public. UMass theater student Miguel Paredes will lead a monthly workshop where students craft their own stories through movement and theater techniques! RSVP with the library so they can get a headcount. Needlework is fun! Go do some needlework with nice folks and have a great time doing it. Do you like museums but hate paying? Check out our own wonderful local museum and please do donate they need money to make the museum so neat. Rhonda Cobham-Sander, Professor of English and Black Studies at Amherst College, in conversation with Wendy Ewald, photographer and visiting artist-in-residence at Amherst College followed by a reception! The 186th birthday of Emily Dickinson is a cause for celebration at the museum! IT’s an open house where you’ll be able to see the completed conservatory, tour the Homestead, and visit the Evergreens for free guided tours. Decorate a miniature pot with words and images and then plant seeds from the Dickinson garden in them! And eat coconut cake made from Emily’s own recipe! More info about the schedule here. Join friends for a day of gaming at the little hidden backroom of the Burger King! They mostly do Euro-style games like Agricola or Settlers of Catan or anything else that abstracts farm work into wooden cubes, but they’re open to whatever you find interesting! Heroes! Click into action! This time only use heroes whose costumes include a cape, because capes are neat! Buy some books while supporting a wonderful local library! You’ll get amazing deals on all those volumes of forgotten lore you’ve been meaning to read. Susan Bloom and Cathie Mercier from the Center for the Study of Children’s Literature at Simmons College will share their favorite books of 2016! Join a bunch of amazing children’s book authors for a group signing! It’s a great time to get a gift for the kids in your life! Former managing editor at The Republican and now a freelance editor and writer, Romola M. Rigali, wrote a ton of articles about her Italian heritage in this delightful collection of stories about being Italian! Get the book and get it signed, it sounds neat! Lots of pictures of Springfield’s iconic South End by photographer James Langone. Join a bunch of fun folks who work on comics to talk about comics and working on comics and just generally hanging out and doing artwork and being friendly with people! It is a Great Time! Learn about the FAFSA! Get slightly less indebted to the college of your choice. Also for real, go to a cheap school folks. Go to 2 years of community college maybe, trust us. It’s SO MUCH MONEY to go to a 4-year institution it’s literally impossible to understand it. Get all the financial support you can! Holidays: sometimes a ton of fun, sometimes wildly stressful! Learn how to make them more fun than stressful from Julia Mines, a life and leadership coach and speaker. As an alternate path to holiday stresslessness you can also just celebrate a week after the holiday so you’ve got no reason to be stressed on the day! A regular meetup of folks who code! No need to bring your laptop, just go hang out with folks who code and talk to them about how annoying seg faults are or why you love vim and hate sublime or love sublime and hate vim. Or just talk about literally anything, the premise is you all do the same general day job/hobby, it’s not like you’re required to bring your work into the conversation. Peer into the vast unknown! Discuss the current and future trends in tech, including smart phones, VR, the creation of robot duplicate bodies to store our consciousness, everything! Learn the basics of tea, including where it’s from and the differences between tea blends and herbal blends? There will also be some teas for tasting! Make a small house, a large house, a castle, or even a house so large it encompasses the very rock of the world. Make a gingerbread house large enough to shake the foundations of the universe. Make one that collapses into a neutron star and throws Earth out of its orbit! There will be plenty of graham crackers and candy to make the house special. RSVP at the library or call 413-665-2642. “The Twelve Days of Christmas is a popular Christmas song which people generally sing with great gusto but with almost no understanding. The basic premise of Dr. Bernard’s book is that there is a logic to the twelve sequences. His hypothesis is that the lyrics reveal a cartographic code of an esoteric route map by which pilgrims in the Middle Ages could make the long journey from England to Jerusalem.” – We’ve got absolutely no capacity to comment on the likelihood of this hypothesis, so check it out if it sounds interesting to you! Report back on the quality of the research. Five hundred words, no adverbs or adjectives. Anime is pretty interesting in general. Maybe go watch some with folks? There’s a lot to choose from and we’re familiar with like 4 total shows. Is the Persona anime any good? We really liked the Persona games. If you have at some point forgotten that you live in a quaint and delightful area, try strolling downtown this holiday season! It sounds fun. Bunches of people put out stuff for you to do and see and there are lights and the whole main drag downtown is shut down for a bit. There are s’mores! Associate Director for External Affairs, National Museum of African American History and Culture will reflect on her career in museums, including her role in launching the national museum of African American History and Culture. Learn about museums from an expert! Subtitled Spirited Away! 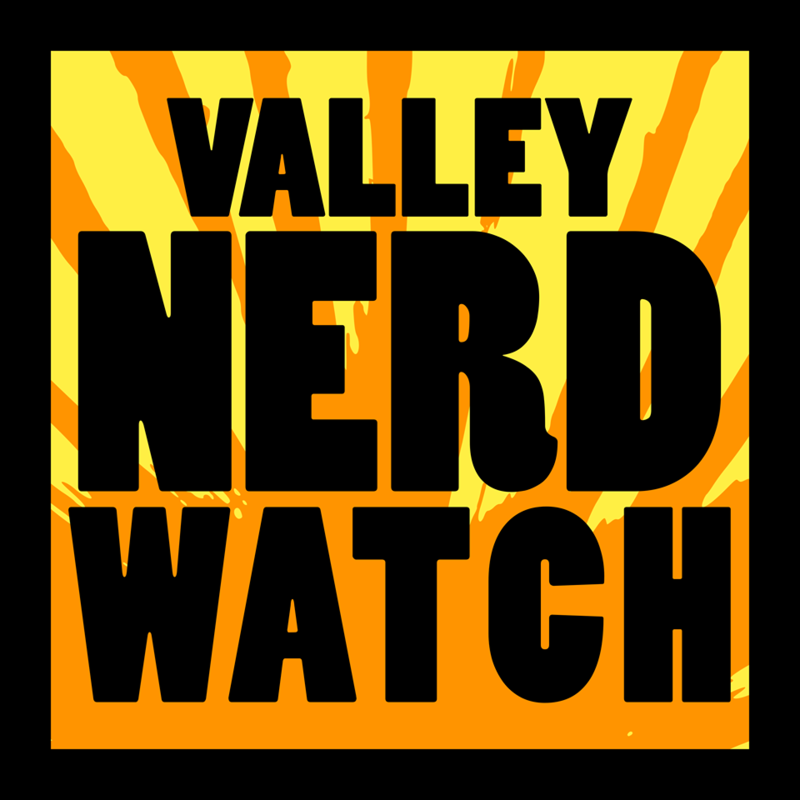 Hang with the folks at Pioneer Valley Geeks and Gamers at this special screening by RSVPing here! Play the most well-known RPG in the world, probably? Wait, is there another system that’s hugely possible in other languages? Anyway! It’s really popular and this is a chance to play it with some excellent folks in a friendly setting. Step outside yourself for a bit and role-play another person! A hero? A villain? A clever rogue, a hulking fighter? Whatever you like, you can be! In the game. Outside of the game a lot of this would require some real long-term skill building and very specific career paths. If an Asian Longhorn Beetle lands in Worcester, how long will it take to reach Northampton? How is remote sensing used to predict the next high-risk area for Lyme Disease? What tools are used to predict movements, and is there anything that moves that can’t be modeled? Professor Thomas Millette, Professor of Geography at Mount Holyoke College has been studying these questions for years around the world, allow him to enlighten you! Dr. Alex Gerson will discuss the incredible challenges of birds who migrate as they enter the era that will, should history books remain in publication in the future, be known as “Whoooooops”. Learn why migration, an incredibly difficult process, developed in birds. Learn what new challenges they face thanks to us!